In the age of e-mail, the act of receiving a hand crafted letter has become a lot more meaningful than it was say, twenty years ago. A friend recently wrote me a letter thinking I had left a Dungeons and Dragons dice at his house. I didn’t, but the letter (complete with dice) put a huge smile on my face. But that pales in comparison to this heartwarming story of a six year old car aficionado who decided to write some fan letters to a whole bunch of automakers. Pretty damn cool. Lets hope Patch’s age cohort contains a lot more kids like him. 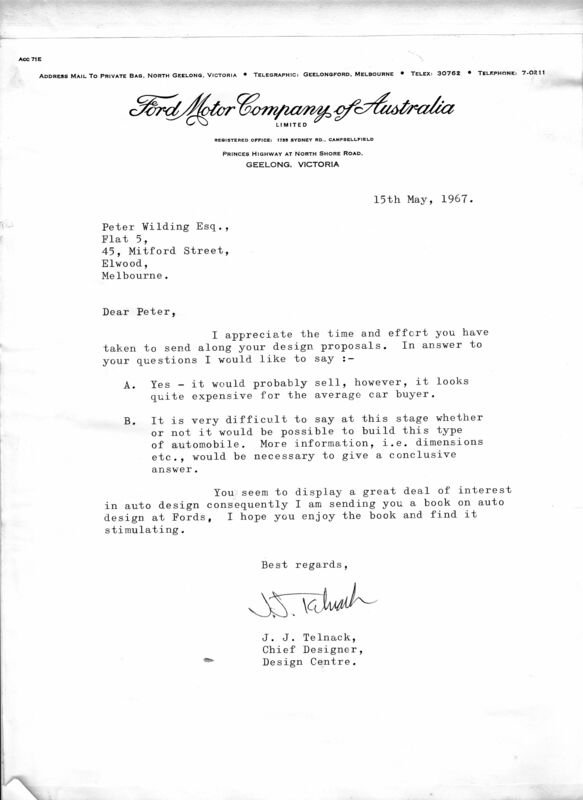 I wrote to RCA when I was about 11 to ask about how televisions worked. This was when many still had vacuum tubes and all had CRTs. 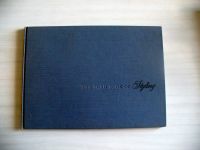 They responded with a pile of brochures that help spurn an interest that continues today. I also started collecting automobile dealer catalogs and discovered my Dad’s collection from the 50’s at that time. I hope Patch enjoys and continues with his passion. I actually did something similar when I was a kid. I had developed an interest in license plates, but it was a struggle for me to get plates from outside of Pennsylvania, where I lived. So, in 1983, I wrote letters to the governors of each state, saying that I was a kid who liked license plates and I would love one from their states. – Iowa’s governor sent me a nice reply saying that he’s sending me the plate from his wife’s old car. – Arkansas’ governor, who happened to be Bill Clinton, sent me a plate, but annoyingly that’s the only response letter I didn’t keep. – I also got plates from Indiana, Michigan, Tennessee and Wisconsin. So congratulations to Patch! I’m sure he’ll cherish these decals for an awfully long time. I did the same thing as a kid, except I asked for copies of print advertisements. Ford sent me some press release photos. The best I ever did was collect brochures, first at auto shows and later by going to dealers. My best score was when I talked the Lincoln-Mercury dealer out of the big color and trim books for Mercury and for Lincoln for the 1976 (or was it 1977) models. The Merc book was perfect but Lincoln had a big year because the top cover had broken loose from the rest of the oversize vinyl binder. I remember wanting to collect every car brochure possible as a kid, much to my parents’ dismay. When I was 7 in 1998, my mom was looking at new cars, and the Dodge dealer was right across from my piano teacher’s house. We walked in to “look” at the Intrepid – my mom knew better than to consider actually buying an Intrepid, but it was so futuristic-looking to 7-year-old me! When I asked for “catalogs”, they gave me not just their current brochures but also old ones that wanted to get rid of – so old they included the Colt (last made in 1994), “Sport Wagon” Caravan, Stealth, and pre-facelift Viper. Also, the Volvo dealer where my grandmother took her 960 for service gave me the “Manual in Motion” owner’s manual VHS tape for each of their 1997-1999 models – I remember having one for the 850, 70 series, 90 series, and S80. 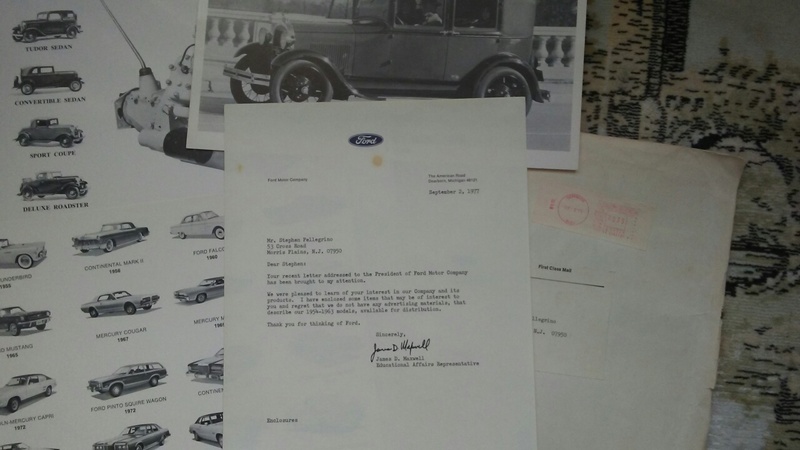 When I was 10 I sent one of my car drawings to Ford, after my parents suggested it. I got a very encouraging letter signed by Jack Telnack and a copy of ‘The Ford book of Styling’. Dad was so proud, but still squashed any idea I had of a career in cars. Very cool Pete. I wish I still had my letter and information from GM, but it was destroyed in a fire. I did keep it until adulthood though. Late to this , but this would have won comment of the yesterday !!! Love to see the drawing Pete. I didn’t keep a copy of it – home copying in those days meant carbon paper, and who let a nine-year-old mess around with that? About all I remember is that it would have been a four door sedan, probably just side-on as I don’t think I was doing perspective drawings that young. I think I was going through my Mark 3 Zephyr stage then, so imagine one of those with a cleaned up front something like a ’61 T-bird ( I loved that front end and still do!) and a hip line in the back door. Now that I say that, I’m curious how I resolved the rear end. I remember collecting every possible car brochure from auto dealers and shows growing up in England. As a ten year old budding car designer in the mid 80’s, I sent a drawing of a futuristic car to Toyota GB and two weeks later, received a nice letter and pretty specialised ‘build it yourself’ scale model of a Toyota Corolla AE86 from them. This blew my mind back then & still does today. I used to collect MLB Press Guides from AL and NL teams. I still have most of what they sent me in response to my letters. How I looked forward to the mail each day when I got home from school! When I was around 6 or 7, I used to write rather tedious letters to my favourite magazine, Which Car? They would invariably be requests for comparison tests which I loved then and love today. I remember one of them was a request to compare the top-spec sedan versions of popular compacts (at the time, the most expensive Nissan Pulsar sedan was called the SLX — I remember that was one of the cars I listed). I didn’t really have my head in the publishing game as I was asking for comparisons between the least popular versions of cars… The magazine typically compared the base hatchback models, for example. D&D dice… hehehe. I lost my best childhood friend to that addictive vortex. I sent letters to railroads. Responses ranged from passenger train timetables to safety brochures to a rulebook. Union Pacific sent 8 x 10 glossy photographic prints showing their Diesel locomotives and their one then-active steam locomotive, which is still running now. Great story! When I was young, maybe 9 years old, I wrote a letter to GM of Canada in Oshawa. I told them that I wanted to be an mechanical engineer when I grew up and work for a car company. I also wrote about my favourite car being the 1957 Chevrolet. They responded with a letter, sent me a bunch of information on the history of GM Canada and Sam McLaughlin, a copy of info on the 57 Chevy from Geroge Dammann’s 60 years of Chevrolet and some GM employment books that provided tips on how to get hired by GM. It was really cool to get such a nice response and the information. And when I grew up, I actually did go to University for mechanical engineering, although partway through I switch to a different study. When my younger son was about 7, we started hunting the salvage yards for emblems of all the different makes and models. Started with the basics, like the Chevy emblems in blue, red, black, and gold, stuff like that. Special edition Infinitis were cool, like a giant belt buckle. Found AMC, Jeep and a huge International lettering from a giant flatbed. There was a big spider nest in a Grand Torino grille emblem. A hundred baby spiders ran out when he picked it up. The yard managers were always nice and let him get whatever he wanted. At five bucks a pop. Some of course went out in my pocket. He still has the Alfa Romeo brake pedal cover because that was all there was to find. Then the law changed and you had to be 16 to enter the yards. He is almost 16 now and says he’d still like to do it again. For a couple of years he bought from eBay and got more exotic brands not found around here. He has his giant box of emblems and occasionally pulls it out of the closet to look at them. It ended up being more fun finding them together rather than just buying them online. But where else would he find something like a Nash or Hudson? Good memories. When I was in 8th grade (89/90), one of our assignments in our English Class was having to write a formal letter to either a politician or a company. At the time, I was just starting to follow NASCAR and my favorite driver at the time was Mark Martin. 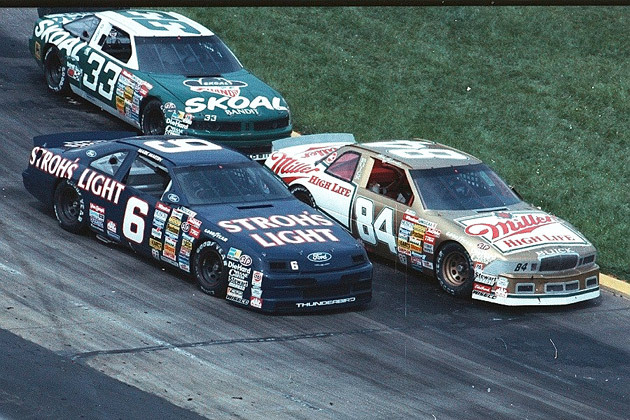 Mark had been sponsored by Stroh’s Light beer at the time he became my favorite driver. At the end of the latest season, Stroh’s ended their sponsorship. So I decided to write to Stroh’s and ask why. Here I am, a 13(?) year old kid writting to a beer company to ask about their sponsorship deal of my favorite NASCAR driver. I didn’t really expect a response, but I actually got one! This beer company wrote back to a 13 year old kid explaining about reallocation of marketing dollars, etc. Something that a 13 year kid really didn’t understand, but at least it wasn’t because they didn’t like Mark Martin (which is what I assumed was the case). Anywho…. out of my entire class, I was one of three people that actually got a response. I wrote to Checker requesting a Marathon brochure (in hindsight I don’t remember why … I had no special interest in Checkers, but they were pretty rare where I grew up, as most of the few taxis were normal Detroit cars). Anyway, we got a call from a salesman a few days later. At dinner time, which really pissed off my Dad. Though I suspect the sales guy was even less happy about calling an 8 year old kid. I don’t think I ever got a brochure.